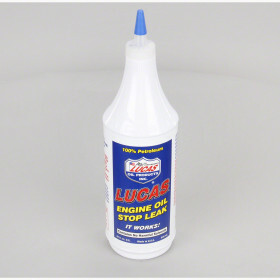 Lucas Semi-Synthetic Automatic Transmission Fluid is designed to withstand high temperatures and pressures. 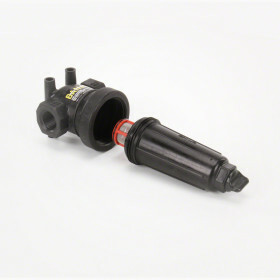 It is excellent for high performance transmissions and extends both transmission and fluid life in trucks and passenger cars. 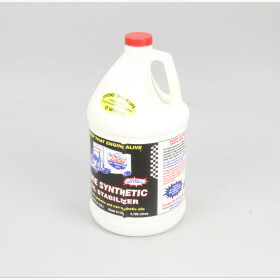 Lucas Oil Sure-Shift Semi-Synthetic Automatic Transmission Fluid is a blend of high quality base stocks and synthetics, blended together with a special additive package not found in other automatic transmission fluids. 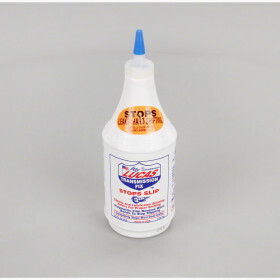 It's formulated with extra detergents and anti-wear agents for longer fluid life and less component wear. 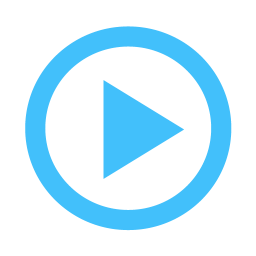 It's designed to withstand high temperatures and high pressures without thinning or foaming. 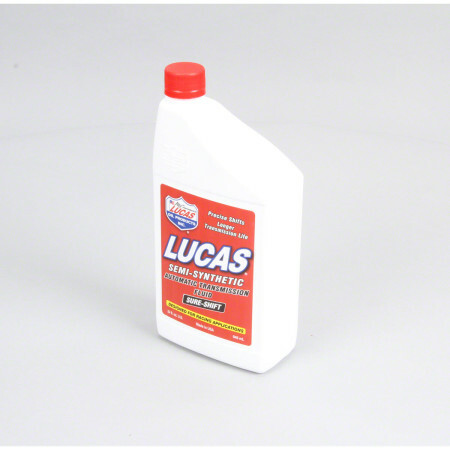 Lucas Oil Sure-Shift Semi-Synthetic Automatic Transmission Fluid also contains lubricity agents for smooth, precise shifting. It is a "Must Have" for all hard working and high performance transmissions.